Rather longish title is taken from ‘Mosquitos’ by William Faulkner. His novel by that name is a satire exposing the moral and emotional waste in words of hollow rhetoric. I could think of no better caption for this essay on the humbug of Mahinda Rajapaksa and Ranil Wickremesinghe in their reactions to the revelations in the New York Times. The story about coughing up a port in the NYT was no big deal. The big deal is the whooping cough that afflicted the former President and the current Prime minister thereafter. The lame explanations offered by both demonstrated the compact between the two to have their dirty linen washed and ironed out, shielded from public scrutiny. What the New York Times did was an exposure of an old story with well researched details explaining China’s rise and America’s decline in Asia. Rajapaksa pickpocketing was incidental to the main theme. When words lose their meaning and their capacity to bind those who use them democracy becomes a travesty, a pretense, a sham. Mahinda Rajapaksa and Ranil Wickremesinghe in their own characteristic styles demonstrated their contempt for public opinion. This essay is about these two gentleman who are the Tweedledum and Tweedle-dee in the fine art of obfuscation and crony politics. One claims that he did not receive any boodle from China Harbour Engineering Company. The other wants us to believe that China did not drive a hard bargain over the settlement of the debt incurred in building the Hambanthota port. Ranil Wickremesinghe has forgotten his threat as opposition leader, not to honour debts accrued in the debt debauchery of Mahinda Rajapaksa presidency. Political Leaders claim the power and the prerogative to alter reality to fit their purpose and serve their interests. Their public pronouncements are marked by their contempt for facts as such, and facts depend in their opinion, entirely on the power of the person who fabricates it. This essential bit of wisdom is borrowed from Hannah Arndt’s seminal work “Origins of Totalitarianism”. Oxford Dictionaries is the global leader in the business of language usage. The editors of this respected repository of English usage observe the convention of deciding on what they call “The Word of the Year’. It is a word or expression that has attracted the greatest interest over the preceding 12 months. When taken in the context of events in Sri Lanka, it seems that the distinguished editors of the Oxford Dictionaries are extremely percipient and accurate. In 2015 the editors of the Oxford dictionaries did something unique and quite controversial. Instead of a plain word the Oxford Dictionaries Word of the Year was an emoji or a pictograph: that was called the ‘Face with Tears of Joy’ emoji. The editors of the respected lexicon announced that the emoji – face with tears of joy reflected the ethos, mood, and the overarching preoccupations of 2015. 2015 was the year in which we voted in President Maithripala Sirisena and voted out President Mahinda Rajapaksa. It was a great year in which millions of Sri Lankan Faces with tears of joy yearned for years of ‘yahapalanaya’ – transparent accountable governance. That was not the way events unfolded. In the following year 2016, the editors of the Oxford Dictionaries, found that the usage of the term ‘post-truth’ had increased by around 2000 % over the year 2015. Post-truth – reconstructed versions of individual truths was declared the word of the year 2016. Post truth in our public discourse became a near perpetual process. Crony bonds outmaneuvered the bonds of trust that underpinned the rainbow coalition that installed the Sirisena-Wickremesinghe coalition. The former president Mahinda Rajapaksa and Prime Minister Ranil Wickremesinghe are both indisputable exponents in the art of fashioning post truths. The former President is emphatic. China Habour Co made no contribution to his election campaign. The New York times story is intentionally vague about who had given the money and who had received the money. Since his statement the JVP leader Anura Kumara Dissanayake has reveled in parliament who received the cheques from China Habour Co and where it ended up. Can we entertain the absurd idea of our ‘Dutu Gamuunu’ incarnate exchanging the nations sovereignty for a piddling sum of 7.5 million dollars? No, indeed we cannot. Prime Minister Ranil Wickreremesnghe had no alternative but to continue with China Habour Co. His own earlier rhetoric on the debt trap was now haunting him. Besides that, he had other problems unravelling in the year 2016, that required him to venture in to post truth explanations on the subject of sovereign bonds, private placements and auctions. Mahinda Rajapaksa in his ten years in power, has redrawn the contours of competitive party politics. With his unparalleled supply of charm, charisma and élan he has demonstrated that elected governments can and do possess private interests. That, once elected, they are entitled to devise instruments to extract rents and impose costs on us citizens. Was there a feasible alternative to the Hambanthota [Magampura] port deal that has been concluded with China? The answer is obvious. There was no other alternative. Had he won, Mahinda would have had to arrive at the same discovery. That is why he called for an early election in 2015. We do not know how fast or when the Magampura port city and the economic zone will takeoff. China is already in the port of Colombo. The former President knows it. The Colombo International Container terminal more than doubled its ‘throughput’ to 1.6 million after China Merchants Holdings International invested USD 500 million in the Colombo port. According to Drewry Maritime Research, Chinese shipping lines deliver more containers than any other country. The five top Chinese carriers together controlled more than Eighteen per cent [18%] of all container shipping handled by the world’s top 20 companies in 2015. It easily surpassed its nearest competitor Denmark the home of Maersk Line, the world’s biggest container shipping group. The Chinese know where to invest and when. In 2016, the Chinese entered in to a deal to invest in three mega berths in the port of Singapore. China has invested in a vast network of ports that include Darwin in Australia, Maday island in Myanmar, Gwadar in Pakistan, Djibouti in the Red Sea and Piraeus in Greece. So, when Mahinda Rajapaksa our liberator claims that Ranil Wickremesinghe would not have decided to deal with China if he knew that China Harbour Co offered some boodle to a political opponent, he qualifies to the title of a heavy weight champion in post truth jousting. The Chinese state has injected massive funds to its financial institutions – the Chinese Development Bank(CDB) and the Export Import Bank of China (EXIM). They are equipped to lend at low cost to Chinese State-Owned companies such as the China Harbour Engineering Company engaged in BRI projects. The Prime minister has assured us that China has not pressurized the government to handover the Hambanthota port. He has also assured us that no high official of the Central Bank has ordered to halt the investigation in to the payments alleged to have been made by the China Harbour Engineering Company. The statement of the Prime minister is also a classic post truth puzzle. Who else would want to operate the Hambathota port and repay its debt? We were told that Hambanthota was a port without ships. We were assured in pre-election rhetoric that the port in Hambanthota will be filled with ships and the Airport at Mattala will be full of planes. Then the new government converted the airport in to a paddy storage. What goes around comes around. The statements of the Former President and the current Prime Minister on the New York Times story has made them Tweedle-Dum and Tweedle-dee practicing the fine art of peddling post truths. China Harbour Enginering Company has paid out some funds. Some body received those funds. What is the purpose of the investigation? If the money did not go to the election campaign, where did it go? What is the alleged offence? Walter Benjamin the German Jewish Philosopher famously quipped “opinions are a private matter. The public has an interest only in judgments. A great Piece of Journalistic work. Good description about the OXford dictionary. Unfortunately, I use WEBSTER’s dictionaries and thesaurus. Another draw back of mine is I hated most of the Western literature and novels. When did you learn that Mahinda Rajapaske and Ranil are great politicians. So, who is being promoted ? @Sarath, Your point, quote:”…………..the former President and the current Prime minister thereafter. The lame explanations offered by both demonstrated the compact between the two to have their dirty linen washed and ironed out, shielded from public scrutiny.” end quote…. – The people are eternally failing to see the HIDDEN MESSAGES that the Political Establishment are conveying throughout 07 decades long…. They are saying in simple terms, that the whole matter of GOVERNANCE is all about the GOVIGAMA MAFIA RULING ELITES and their game of playing for the Western Zionist Mafia that’s controlling the affairs of the Re-invented colonization of CEYLON, re-branded to the local Sinhala Racist flavour as SRI LANKA to market it to the DUMB, GULLIBLE Sinhala masses. Ranil, Maithree, Chandrika, Mahinda, Dinesh etc., are not enemies but friends from the same team, split into many parties as a deception, but working in harmony to further their secret agenda. Even Nagananda is a decoy placed by the Establishment to distract the masses as when the people look for an alternative, they will be blindly led to someone who is in the tentacles of the same octopus. The names and ID card numbers of those to whom payments were made on all these cash cheques totaling about Rs 200 million, is recorded on the reverse side of every single cheque. The full particulars of every payee is KNOWN! These facts were also notified to the Central Bank by Standard Chartered Bank in a report at the time. There is absolutely NO MYSTERY whatever in any of this, notwithstanding anything Mahinda and Ranil say or what they pretend. I challenge anyone to deny anything in the above paragraph! The information was conveyed to me FIRST HAND by one of the middle-management officers who handled the payments from behind the counter. I would welcome making a statement to the FCID (or whatever the right authority). The officer in question, now resident out of Sri Lanka, would, I understand, agree to make a statement. But this is not necessary because the entire counter staff and all managers on front-office duty at SC Bank, at the time each cheque was presented, can vouch for all this. Mahinda is lying for obvious reasons; Ranil is covering up for him because the Chinese have got him (Ranil) by the balls! Poor sod! The Professor, Is campaign financing illegal in Sri Lanka? No! As Soma says Ranil would have received many times more from many other sources, and that also is not illegal. On the other hand Ranil too may have received campaign financing from the same source! If you have so much information including the ID numbers, do publish, oh I see your source has left the island, KD non of us are wearing chignons, not even the Chinese! According to former US Secretary John Kerry, (as he mentioned in the preface of State Department’s Annual Report 2016), US has provided US$ 585 million for a regime change in Sri Lanka, Nigeria and Burma in 2015. That means Ranil and the gang has received US$ 195 million for a specific purpose which is ousting Mahinda Rajapaksa undemocratically by planting bogus allegations and character assassination. In other words, US$ 195 million has been unlawfully utilized to rob the civil and political rights of Sri Lankan citizens which is unacceptable. There is no solid proof of the motive of China for the accusation that they have given US$7.5 million for UPFA’s election campaign. China and Mahinda have already denied. If you have proof, please go to the nearest police station and lodge a complaint. You don’t have to worry. Yahapalanaya government is your government. Mahinda has no powers to stop you. Not a single man on the street doubts that MR would have received 7.5 million dollars from China – no proof necessary. He also has no doubt that Ranil would have received 100 times more for regime change from the other source – don’t ask the poor guy for proof. He is wondering what’s the big deal, no quorum even in the parliament to debate the issue. Types of Sarath de Alwis trying to bamboozle him over one side of the issue with not a word on regime change funding is an unnecessary distraction to him whose only concern is sky rocketing cost of living. There is no doubt about Mahinda receiving money from China. China did not deny this but only said it did not give for Mahinda’s election. In otherwords Mahinda received bribe from China but China may not know how Mahinda spent that is not their problem. I know how many of LTTE members exported to foreign countries safely after paying large sums to Mahinda’s brother Basil and I know how many people paid to Basil to get jobs. Mahinda family as whole robbed the nation and its people. It is only those who benefitted from Mahinda deny the truth. Tell that to the people. They don’t listen. They demand Rajapafucksas. I want them because Rajapaksas are, as you say, Rajapafucksas – Those who f…up the plans of all traitors like you. They deserve more money for saving Lanka from those traitors. Don’t worry! The next government is not American-puppet Gotabhaya’s or Indian-puppet Basil’s government. It will be a people’s government captained by Mahinda Rajapaksa. The next Presidential election is not a fight among political parties. It is between Sri Lankans and foreign countries which took over our assets, industries and lands and countries which signed illegal FTAs detrimental to Sri Lanka. In all fairness to China, I should mention here that Prime Minister himself stated that China didn’t force him to sell Magampura Port. So, I guess the reason was an attractive commission. Over to you, puppet New York Times! 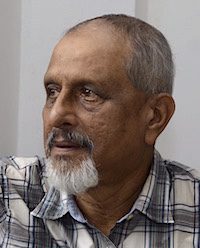 If Sri Lanka was in a “debt trap” in Mahinda’s time where there were ample ways to get out of it, Yahapalanaya slave government has “drowned the country in a sea of debt” without any hope of survival and compromised country’s sovereignty, on top of losing almost all our strategically important, invaluable assets such as ports (both major; Magampura and Colombo and next may be regional Ports such as Galle and PointPedro), harbours (Trinco which is the 5th largest natural harbour in the world, KKS and Oluvil), airports (major; Mattala, Colombo, Ratmalana and regional; Palaly, China Bay, Hingurakgoda, Weerawila, Koggala, Batticaloa, Gal Oya, Sigiriya), virgin forests, irrigation tanks, Rose quartz mountain, Kataragama Devale, Sigiriya, Dambulla and almost all our money generating industries such as fisheries, plantation, shipping, gem & jewellery, construction, textiles, highways, minerals, coconuts by replacing with pol-katu plantation, food, even cricket grounds such as Sooriyawewa and Galle. I don’t see any FDI under the slave government other than foreign companies taking over our assets and industries. I don’t know how many of our people are aware that the next step of the slave government is exempting cess, other duties and taxes on ALL imports, 100%!!! I wish to place on record my vehement opposition for slave government’s move to remove Mahinda Rajapaksa name by selling everything he built. His name matters to Sri Lankans not for the sake of buildings but for the reason WHO HE IS. Mahinda Rajapaksa is the statesman who brought peace to ALL Sri Lankans by eradicating LTTE terrorism. Our Army sacrificed 28,708 lives and 40,107 were subjected to disability in order to save just 1 million Tamils and Muslims in the North. LTTE killed around 100,000 innocent civilians and destroyed a large number of economic nerve centres crippling our economy in their 34 year terror era. If Mahinda Rajapaksa didn’t wipe out terrorism from Sri Lanka, will Yahapalanaya government ever be able to come into power? If not for Mahinda Rajapaksa, with LTTE’s Air, Navy, Army power along with ferocious Sea Tigers, Black Tigers and Suicide Bombers, barbarian terrorist leader Prabhakaran, who generated US$ 300 million a year, could have taken over Colombo and ruled the country massacring all Sinhalese. Selling everything Mahinda built and removing his name from even Cricket stadiums and laboratories he built in schools is downright cruel, disgusting and cheap. I said this in 2015 too. Mahinda Rajapaksa name is engraved in people’s hearts, imprinted on their foreheads and inscribed on their palms whether they are his supporters or opponents. Mahinda’s name, not only should have given to everything he built but also carved on every tree, every building and every pole in this country for the great service he rendered by eradicating terrorism, bringing peace after 34 years and rebuilding the war ravaged country by being a father to our proud nation. Stop taking political revenge from Mahinda Rajapaksa and his name, you slave government! People won’t tolerate it anymore. “I wish to place on record my vehement opposition for slave government’s move to remove Mahinda Rajapaksa name by selling everything he built.”. He merely signed/approved a few projects which his clan would have ensured a large payments of commission for him. What you mean “everything he built”? After Bandaranaike International Airport (1967) and the BMICH (1970), nothing else was built in Sri Lanka by any other President or a Prime Minister until 2005. It was Mahinda Rajapaksa who started building and rebuilding the country after 35 years. Any UNP government or current Yahaplanaya government didn’t build anything. They only destroyed, renamed or sold what others built or started building. I am surprised that I would be educating a stupid imbecile in every aspect of Sri Lankan history. Go read on Accelerated Mahaweli Programme. One of the largest in Sri Lanka, biggest river basin development project. Please go carry Mahinda’s b***s if that makes you happy. Never lie in this forum because you are not a clever informed liar. Mahaweli is a river, not an irrigation tank built by somebody. Mahaweli River starts in the Siri Pada Mountain. Which UNP King did you think built the Mahaweli river? BIA was newly built. BMICH was newly built. Magampura port was newly built. Mattala airport was newly built. Southern Expressway was newly built. Colombo/Katunayake Expressway was newly built. Port City is newly built. Nelum Pokuna was newly built. There are more. They all were newly built. It is ok to be stupid Hindian Vedda, but don’t abuse the privilege, ok.
Just own up you are wrong all the time then say sorry, and move on. Champa here is stressing on one good point. But he is not seeing why the victors failed to bring dignity and fame to the Country on their victory. Instead they were caught for war crime and swindling the Country. Dignity of the Country would have been restored if the much urgently needed investigation and rule of law maintained. The stand of the Government not going by the rule of law is a big blow to the whole Country. If there is the same rule of law for every victim and every criminal then the Rajapakshas will be hailed as heroes. Otherwise what is the reason for the whole Country to be encroached by other opportunists Countries and made vulnerable. Good politicians must have made their Country good for the future of their own people. Both these unprincipled scammers with hardened conscience and no other future but greed for power and money to experiment with their twisted deeds to satisfy their megalomania must be laid to rest if this land is to progress. Is there no statesman with a vision for citizens living peacefully. China taking over Magampura Port and a part of BIA, funding almost all major political parties in their election campaigns, getting into plantation sector, taking over our industries are all now stale news. Chinese men are marrying Sri Lankan women now. Soon there will be sham marriages for residency. With the help of our women, they might even open retails stores. I don’t think we will ever be able to chase them out of Sri Lanka. A large number is overstaying. In 10 years time, we may have to grant them citizenship, same like UpCountry Tamils. China has already established themselves here. They are taking over our industries from construction-food-gem & jewellery. Next will be clothing. It didn’t start with Mahinda to be honest. It happened after China’s acquisition of Magampura Port. I said China is stale news because India is the ‘new China’ now. It is now India’s turn to establish themselves here. Any fool can see that they are following the footsteps of China. India is going to acquire Mattala airport. Then Palali airport and KKS harbour. Government is in the process of accepting an investment from India for fisheries sector in the North. Kantale sugar factory is run by an Indian company. Trinco oil tanks are in possession of India. There are many industries run by Indian companies. All these tenders could have been awarded to local entrepreneurs. What is the rationale behind offering housing tender in the North to China or India, when we can do it by ourselves? When Wimal was the Housing Minister I guess over 200,000 houses were built as of 2014. There is a statement by Wimal on the danger faced by Sri Lanka due to Chinese and Indian presence here. Damn right they don’t! Most of all, there are no journalists left these days in sunny Sri Lanka who will translate for the benefit of the Sinhala newspapers. Or, are there?Memories of what happens to the bravest of the species is still very raw. It’s a higher philosophical discourse between two Lankan intellectual powerhouse existentialists ………….. about the nature of truth ………. We plebs out here will never grasp ……………. I for one am willing to give them time to work their way through ………. what else can we do? ……….Anyone has any suggestions? I don’t get any of this philosophical gobbledygook; far above my head ……. I can only think of bumping a few off ….. but Native Vedda is dead against it ……… how the hell would I know I’ll run into Bodhisattva ………. In Buddhism we consider the 4 –fold truth as the highest level of truth – Absolute Truth – (Parama Sacca in Pali). At lower levels we have other Truths that are not absolute. As an example of such truths we can take the UP and DOWN notion of a person. We may define UP as the line a pendulum at rest will align in vacuum and its direction will be the direction starting at the pendulum bob and going towards the point from which it is suspended. To persons living, say 2500 years ago, such a ‘truth’ appears to be rigorously scientific and absolute, (i.e.) independent of the location of the pendulum on a flat Earth. But once it was discovered that the Earth is round, the absolute truth had to be demoted to the subjective level. Kierkegaard says that the concept of ‘truth’ itself can be considered as an object, and the knower can apply the very same tests applied on other objects to find out whether they are the ‘truth’, be applied on ‘truth’ itself. In this case, what is being tested is not the ‘truth’ but the relationship that the ‘knower’ has with the object. In short, the Truth should not depend on the Knower (observer). As a Buddhist, I think that what spoils the judgment of the knower is the concept of a permanent ‘self’. One cannot make an objective judgment on anything as long as the conceit of ‘self’ is there. On the other hand an enlightened person, who is completely free of the all-pervading and permanent self only can make a unbiased judgments what ‘TRUTH’ is. In Buddhism what is considered an absolute truth? Can you please give an example? For me ………. a real-world objective-truth is “Lasantha Wickerematunga is dead.” ………….. And “who killed him” is a subjective-truth to most ……….. except to the people who did the deed – for them it’s an objective truth. Don’t you agree? How would a Buddhist with an excellent comprehension of Buddhism and Kierkegaard apply their examination of “truth” to a real-world situation? Great questions. Answering your questions would widen my horizons. The answers will take some time. So please bear with me. Q: In Buddhism what is considered an absolute truth? Can you please give an example? A: In Buddhism, the 4 Arya Satyas are considered as the most noble. Every other truth is derived from those and therefore, if one wants to understand Buddhism, one has to start with Chatur (4) Arya Satyas, starting with the first Noble Truth Dukkha. The Dukkha Satya: Buddha found that existence is a problem. Existence coexists with Dukkha. In the first sermon after enlightenment given to his 5 fellow ascetics, The Dhammachakka Pavattana Sutta, Buddha explains what he means by Dukkha very clearly as ‘Jatapi Dukkha, Jarapi Dukkha, Vyadhapi Dukkha, Maranampi Dukkha…’ and so on, the translation being, ‘(i)birth, (ii)decay (ageing), (iii) sickness, (iv) death, (v)to be forced to associated with those whom one dislikes, (vi) to be separated from those whom one loves, in short, the whole of Panchaskandha is Dukkha. Having stated the problem of existence clearly and unambiguously, Buddha, unlike most philosophers, did not stop there. He went on to give the cause of Dukkha, the existence of a cure and finally the cure itself. Buddha explains in the Sutta how he analyzed the problem step step by step, cakkhuṃ, nāṇaṃ, pannā, vijjā, āloko udapādi. Most surprisingly, this coincides perfectly with the Modern Scientific Method leading to the understanding of natural phenomena, without resorting to the concept creator God, (which Buddha rejected as a ‘non-explanation’). Buddha’s methodology is divided in to 5 stages: (i) Observation (ii) Realization that there is a new phenomenon behind what has been observed (iii) Formulation of an Initial Theory (iv) Formulation of a Law, (v) Full understanding by connecting the new Law with other existing and valid Laws. Please disregard my comment before this one ………… I only glanced through what you had written …………. didn’t have the time to read. Now I had the time to read ………. and I find your elaboration – or the attempt – to be excellent …………. So, does that mean the Buddhists “consider” there is no absolute truth? ……….. Did this happen post-Kant ………… or before he came on the scene? Q: So, does that mean the Buddhists “consider” there is no absolute truth? A: Certainly NOT. Buddha gave up all worldly things and went in search of the TRUTH. After a search of 6 years he found it and it is all contained in the 4 noble truths that I gave before. These are Absolute Truths in every way. (i.e.) They are not subjected to space and time or any other constraints and are applicable to all things, anywhere, at any time and on any scale. Regarding my comment, “At lower levels we have other Truths that are not absolute. As an example of such truths we can take the UP and DOWN notion of a person”, I apologize for writing, “at lower levels we have other Truths that are not absolute”. The word ‘we’ here does not mean Buddhists only. Rather, by ‘we’ I mean all normal people. The UP/DOWN concept existed long before Buddha’s time. A: I don’t consider myself to have an excellent comprehension of Buddhism. And my knowledge about Kierkegaard and other existentialist philosophers is even less. There is a common denomination here between Buddha and these philosophers in that, they all found existence a huge problem. Why do we exist? Who or what makes us exist? And in the case of Buddha, “what makes existence such a great problem?” And the most important question is how can we cease our existence? Buddhism is only for those who are subjectively engaged with this anxious problem – the problem of his/her existence and consequently his/her suffering. It is not meant for those who are not bothered by this problem and take only a scholarly and horizontal view of things. Only those who take a vertical view straight down the abyss would apprehend the perilous insecurity of the situation. That is why Buddha emphasized that the Dhamma is not for having scholarly discussions, debates etc. but for practicing only. What I want is to emphasize that there is no situation that is more real-world for the right thinking person than what I have described above. Whe Dr Ranil and his Cabal went around Lankawe alleging Mr Mahinda and Family had 2 Gold Horses and 5 Lamboghini Espardas these Yahapalana supporters were shouting” Hear,Hear”. No wonder they took Dr Ranil’s assurance that his Yahapalana Government is not going to pay the Chinese Debt, as Gospel Truth. BTW , Dr Ranil went even further and promised the Yahapalana Suckers that he was going to make Magamapura a Maritime Museum. Wonder what happened to that Project. Another bigger puzzle is why Dr Ranil didn’t get his God Son and dad Rajitha to bring that USD 18 Billion back to Lankwe. That would have saved Dr Ranil being called a Liar by even this Yahapalana supporter. And poor Dr Ranil’s mate from Singapore Dr Mahendran would have enjoyed his retirement in Luxury in Kurunduwatta and not being called a Hora Hora when he ventures out for a power walk.. They never read anything written in English, the poor frogs in the well. How about Wimal Sangili Karuppan Weerawansa? Most of the Sri Lankan historians, anthropologists, archaeologist …. do not seem to publish their work in English. Is it because they are safe from getting caught for lying, plagiarism, typing nonsense ……………….. complete fiction as history, if reviewed by outsiders? Or is it because the are preaching to the converts? Ranil and Mahinda think their mutually agreed script is working. But Maithri is doing something else, though he doesn’t know what his script is. “Oxford Dictionaries is the global leader in the business of language usage” De Alwis writes. Hmm…is this 2018 or still 1818? Need to check the calendar. Ha… Ha…, its 2018. But some of us still live under the boot of our colonial master, and their language! SERVILITY could be the Oxford Dictionary word for 2018. I scratched your back and now it’s your turn. One saves a bother. Not v . nice, eh? Not to forget that the ‘Cheennu’ are the ones running the show now in good ole paradise isle! Lets forget what Mahinda and Ranil think about the voters and people, the rulers and functionaries always have had contempt for the plebs, because they know plebs are masochists who are willing to be abused, cheated, tortured, ………………… being robbed. Look at Champa who treats you and others exactly a “Kondey Bandapu Cheennu”. What are you going to do about this ignoramus? I thought I would never say this, but I have to say it. Ranil get lost, go home. Its time for you to retire. You are no longer wanted. Let some one else take over the leadership of the UNP. We cannot trust you. The post truths of Sarath De Alwis on display….yet again. He first sold us “yahapalanaya” in 2015, just like cronies of JRJ sold us “Dharmishta Samajaya”. Now he is trying to sell us a re-cycled story in NYT as the greatest sin committed in SL by a politician. In that attempt he cleverly hides the overall topic of foreign interference in developing nations such as SL through monetary and other means by powerful countries. He doesn’t tell us how various countries got involved in the 2015 regime change project which he was a willing participant knowing fully well the cess pool covered under “yahapalanaya” curtain. Nor would he want us to remember who funded the strategy meetings in Singapore nor US State Department spending US$ 287 million in SL and two other countries to “strengthen democracy” around 2015. Who got that money? Why Anura Kumara silent about it? How much JVP got out of State Department money? If we want to address the issue, let’s talk about the whole issue and not parts of it to serve partisan political ends and propaganda. YOu may be able to remove a leech from your budy. but, you will never remove Ranil from the PArliament. Now, he is 69 years old.and is a party leadr for 23 years. His only achievement is he emptied some state banks and all the employee pension funds and made SOS bankrupt and BOC lost 50% of it’s profits. 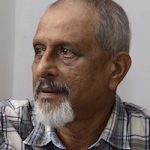 Check gthere is another article which says Mahinda Rajapakse’s 2014 economic work faird far and far better than than Ranil’s HArvard expertise and PAskaralingam, Arjun Mahedran with the help of another BIG MOLE rat Mangala Samaraweera who is completing the sale of Sri lanka to Western ompanies. Now most of the finacial laws are for money laundereing thieves and for foreign companies. How many Sri lankans are playing the Sri lankan Stock market. But, all the financial indicators are corrected to suit the stock market. Sri lanka IS IN A DEPRESSION WHETHER YOU WANT TO BELIEVE IT OR NOT. VERY SOON WE HAVE TO SELL EVERYTHING. BECAUSE THERE IS A IMIT WE BORROW AND PAY THE SALRIES. The amzing thing is both Rajapakses and MAithriapal Sirisena will give a position for Ranil even though he is a disaster to the country. Ranil and Mangala HAve simply desteoyed and are destroying the country. Only thing he says, He knows every thing happening to the country and he is not the president. but he as the Economic an indirect finance minister does not admist Sri lanka is in a Deprerssion which bagean some where in 2013. His economic agenda of totoal economic liberalizartion and selling assets will not work for the country. Even Mighty USA is going back on Globalization, they are are going for trade protection and dishonouring trade agreements. Only the Sri lanka which imports full 100% of everything wants to liberalize trades and economics when our manufacturing sector did not grow at all since 2013 until now. LAst year was the worst year for sri lanka. We are still flaoting because of foreign remittances. the balance is covered with loans. We never go hungry though because we are an agricultural country. Sri lanka is in a depression. the evidence is the concumer expenses are going down. so, the prises should go down at least for some items. What a load of Bull Sarath de Alwis! We all know campaign financing by individuals and corporations is not illegal n Sri Lanka. And the more enlightened of us also know that savvy corporations fund both sides in an election. So Ranil would ave also received from the same pocket in addition to all the dough he and his people would have received for regime change from various other sources which had to be paid back by exorbitant Bond Sales. There was a time not so long ago, people in your camp were looking for Horses from Buckingham Palace and Golden Lamborghini’s and 18 billion of USD? What happened to those allegations and accusations? One has a mouth and one spews nonsense out of that is the last refuge of the Yahapalas. Ranil on the other hand is smarter than most of his apostles, he know which way the wind blows. Now, I understand why Mahinda Rajapkse is Whinning that this govt si removing Mahinda Rajspakse’s name from teh buildings that he got hugh commises. The reason is this Mangala Samaraweera under the patronage of MCC has built the infra structure such as changing laws preparing lists which say what to sell for foreign multinational and western companies. Because, the country is bankrupt, Politicians di dnot know how to turn it back. So, itis being exposed. YAhapalana govt has sold even certain govt assets to sri lankan politicians and their henchmen, that is with the knowledge of Ranil, to dig for gems. I heard, both MY3 and Ranil do that. Once VP said RW is a cunning fox. RW and MS are protecting all the fraudsters and murderers. High time to.turn to International judges. Time to put Country before Party when voting and vote for who you think is most deserving based on track records. We don’t need ‘have-beens’ who have proved to be thieves, unqualified imposters, sycophants, thugs and other misfits for positions in governance. One Hundred percent agreed with your comments. But our Sinkhala Village idiotic morons will go behind whatever the Medamulana warlords say.